::: fashion murmurs>:::: gaga orb head art piece is no mo "not for sale"
i still remember seeing lady gaga went on ellen degeneres show, her orb hat? crown? wutever it is is cracking me up when the metal orb constantly circling during the interview.. it's really distracting..
now.. you can have your chance to distract your friend during a conversation!! 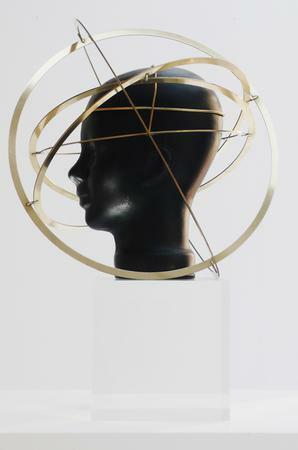 showstudio is selling the orb head-piece for £30,000..